Are you considering relocating to London? The capital city of the UK attracts millions every year thanks to the city’s congenial climate, career prospects and a diverse population. So, if you too want to be a part of the thriving London culture, but do not wish to commit to any housing commitment, you can book your stay at Carlton Court’s serviced apartment. Our boutique apartments can be rented for both short and long term stay making it the ideal choice for those moving to London. If you are wondering what makes self-catering flats the first choice amongst expats moving to London, keep reading. ●	Convenience: Securing a long or short term rental in the city is hard enough for the Londoners. As for someone who is currently residing overseas, the struggle for finding a suitable rental property is long and arduous. So, making a reservation at our 1, 2 or 3 bedroom self-catering flat is the easiest option. Our serviced apartments will be your temporary home for as long as you want or until the time you move to a more permanent accommodation. ●	Extra room: When compared to hotels and other conventional accommodation options, our serviced apartments offer a lot more space. By renting our self-catering flat, you will be enjoying a kitchen, living room, dining room and comfortable bedroom with ensuite bathroom. 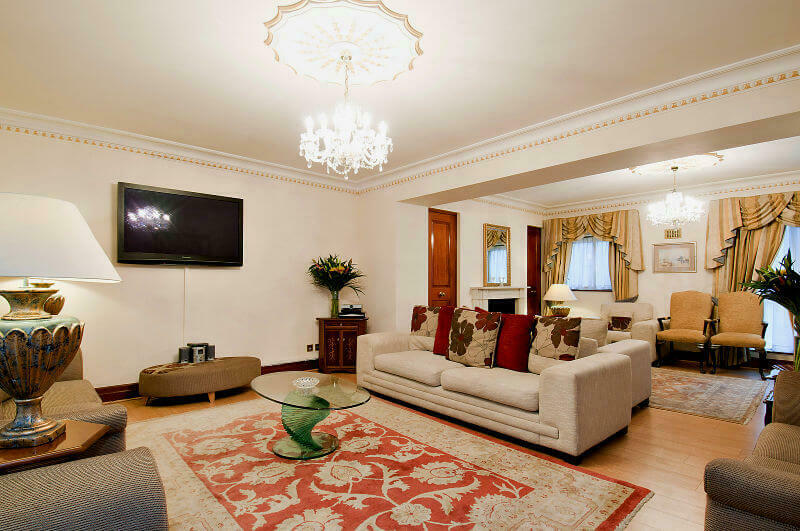 Such facilities make Mayfair serviced apartments London extremely popular amongst expats. ●	Zero hassle: One of the biggest reasons why expats consider staying at our boutique apartments as a quick solution to relocation is because they can settle in quickly. Carlton Court’s self-catering flats are fully furnished with all the amenities and facilities needed for living comfortably. We also provide our guests with a welcome hamper so that they get to get started with their new life immediately. If you want more reasons to book your stay with us, do not hesitate to contact us. Our team will share with you the tariff rates, as well as, booking details.